The "Good old days" of mule deer hunting may be right now! Mule deer numbers in the Pecos Wilderness have exploded in the last few years. Much of the increase in mule deer numbers is probably due to the recent wildland fires we have experienced, some of which have occurred in the areas we have historically hunted. 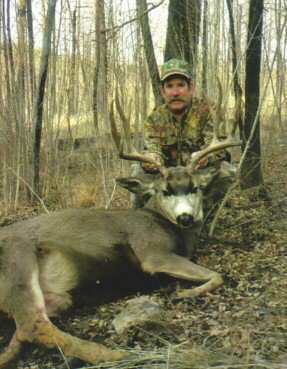 Beginning in 2001, mule deer hunts in GMU 44&45 became draw hunts. If you miss the deadline to apply, or fail to draw a deer tag, contact us for availability of private landowner permits that enable the hunter to purchase a license over the counter. All riding and pack horses. Transport of meat to a processor in Pecos or Santa Fe. COST: Please Contact Us For Pricing:. "Unbelievable experience. Thanks for opportunities to shoot."